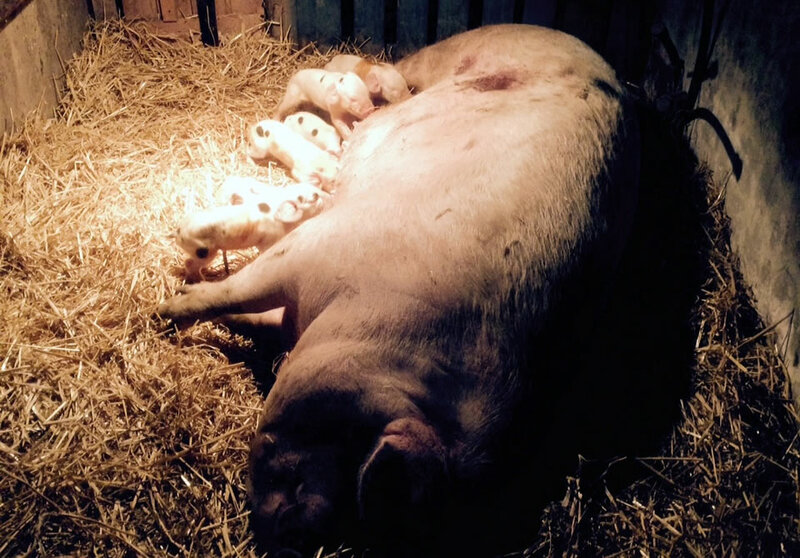 We are so pleased to announce that our Molly pig had her litter of piglets last night. 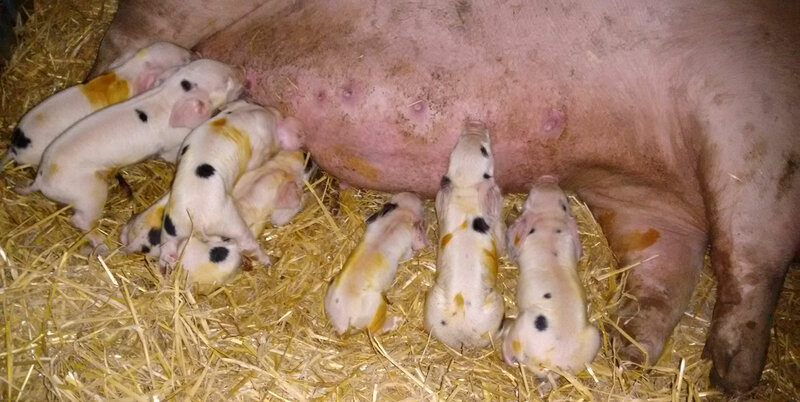 She has had 8 piglets in all, 4 boys and 4 girls. 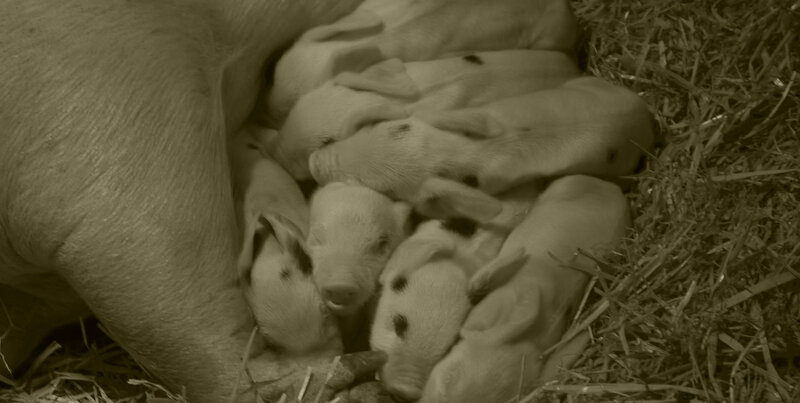 This is our first litter of pigs at the farm for many years and it is a step towards us being able to produce our own home-grown pork. 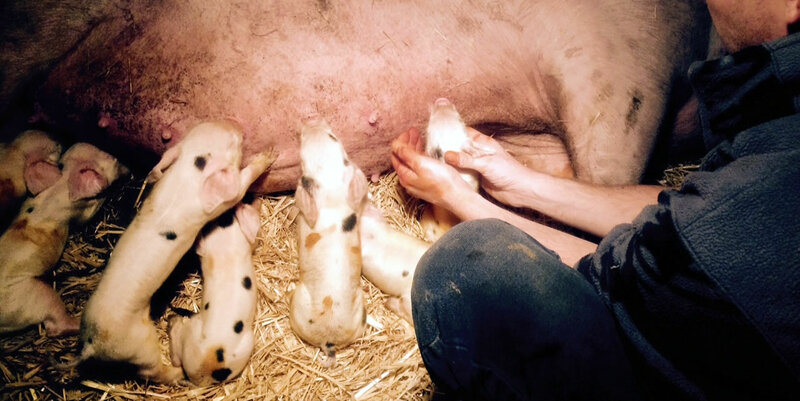 Our first step was to buy a young sow and watch her grow. This was when we bought Molly pig last summer. Molly spent her winter in our old bull pen and kept us all entertained with her constant want of tummy tickles! She then went out into the field when the weather got better and lived with our chickens. The chickens were rather fond of Molly – so fond in fact that they preferred to sleep in the arc with her than sleep in their own chicken coup! The next step was to find her a boyfriend – this is where Frank, our boar came in. Frank and Molly have spent this summer living together and we hoped that they would get on well! The last few months have seen us watch Molly closely as she grew......and grew......and grew hopefully confirming to us all that she was indeed pregnant (either that or a serious review of her diet was needed!). As the due date approached, we brought Molly pig down from the field by trailer to the old piggery (where else?) where she could rest and relax before her big day. Over the weekend as her due date came and went at least one of us went to check on Molly every few hours to see how she was doing and if she was showing any signs of nearing delivery. 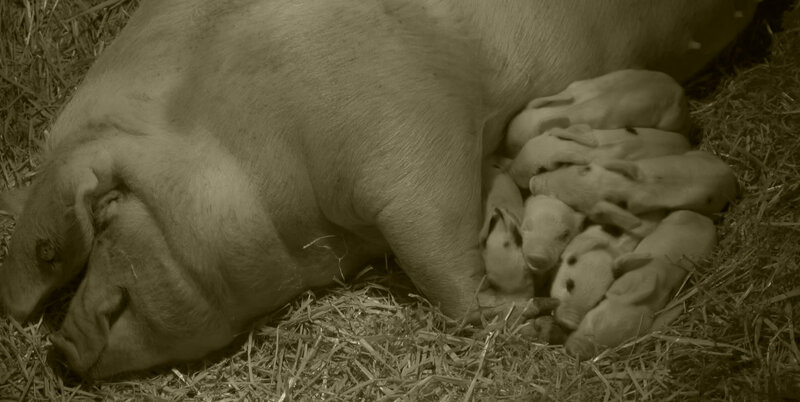 At about 6.30pm last night she started farrowing, first one, then another, and another until she had 8 piglets in total.